This is another of those crafts that I've sat there and admired from afar but I haven't got into it much because. 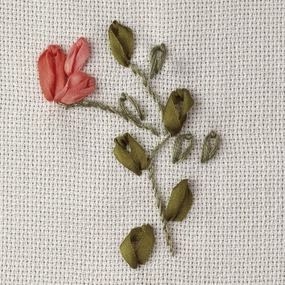 It's such a beautiful craft but like free form embroidery is very much something that I'm not overly interested in. 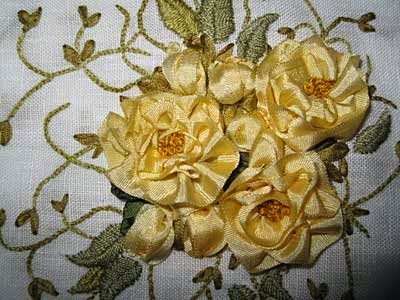 So what is Ribbon Embroidery? It's using a ribbons to embroider a pattern onto fabric. It's commonly used to show flowers as they lend themselves to the medium. But it is so much more than just sewing the ribbon in as the amount you pull it can make a big difference. These two examples are from this website... It has some easy to follow instructions as well. This came from a lovely lady over here and her work is lovely too. I found some basic instructions at the better homes and gardens website. 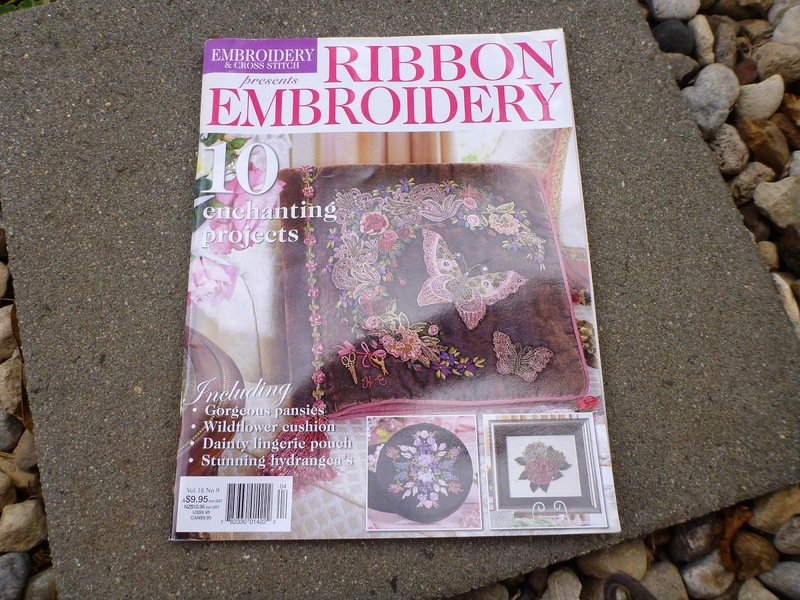 And of course there are some ribbon embroidery magazines around. So pretty. I have tried this a couple of times but never been able to get the ribbon through the fabric! Thanks for the links. Lovely pictures you found! 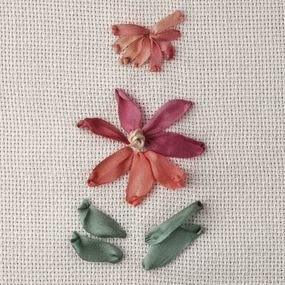 I follow another blogger who does a lot of ribbon embroidery. It's a beautiful craft, but not for me. Lovely flowers. I've not made any ribbon flowers but I have used ribbons threaded through stitches on band samplers which is a nice use of them too.